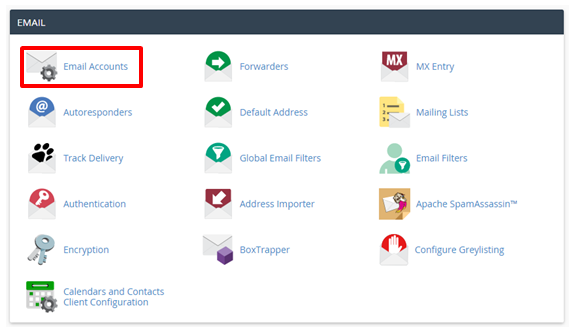 You can make changes to your email account through cPanel or webmail. The instructions below will guide you through changing your email password with either method. The email account owner can use this method to change the existing password for an email account. It requires the owner to know the old passwordÂ before a new one can be set. Click your email address in the top-right corner, then click the Password & Security link. 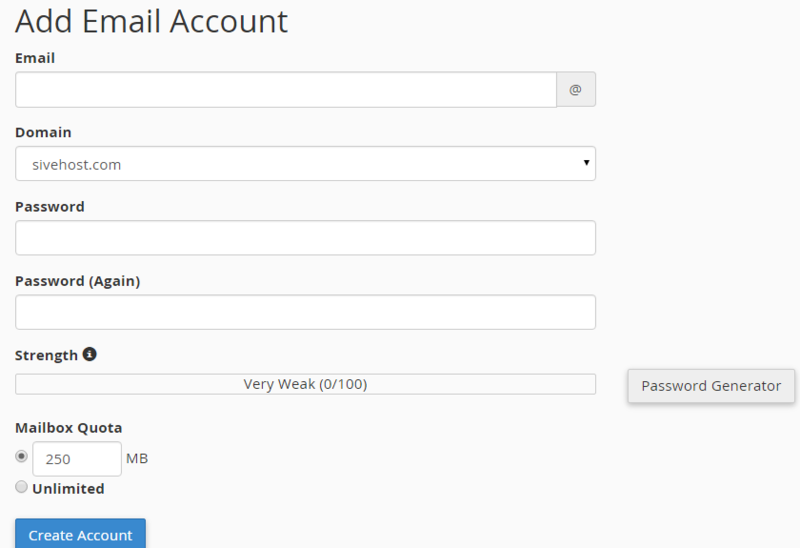 In the Password field, type the new password for the email address. In the Password (Again) field, type the new password again. You should receive a confirmation page showing that your password was successfully modified. If the email account owner has lost or forgotten the password, the password can be changed through cPanel. This method does not require the old password. In the Mail section, click theÂ Email Accounts icon. 3. To the right of the appropriate email account, click Change Password. 4. This will open the Change Mail Account Settings menu. 4. In the Password field, type the new password. 5. In the Password (Again)field, type the new password again. Note: TheÂ Strength Meter will indicate the difficulty of the password you select. We highly recommend that you use a strong password. 6. ClickÂ Change Password to set the new password. You should receive a confirmation message showing that your password was successfully changed.